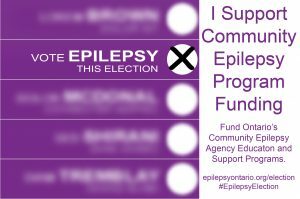 Why are we talking about epilepsy during the 2018 Ontario election? 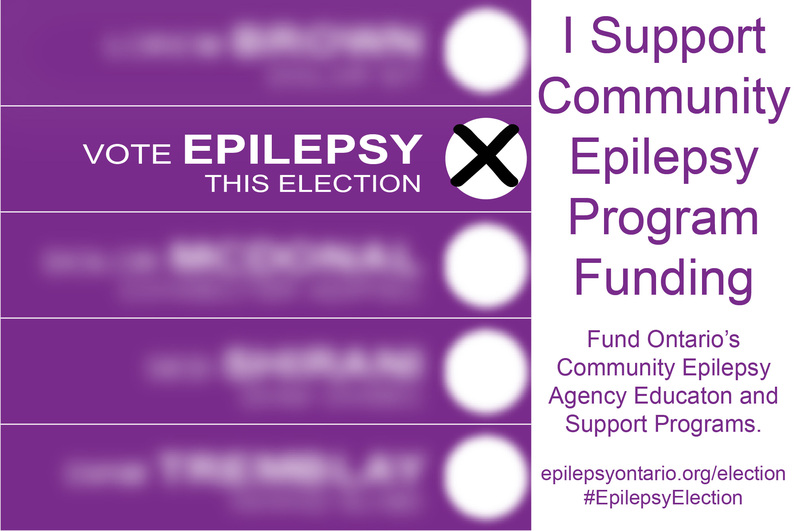 Ontario’s epilepsy community needs community education and support programs. Programs that help people understand their epilepsy and how to manage it, reduce seizure frequency and unnecessary hospital visits, and help them live well in the community need to be a priority for the next government. 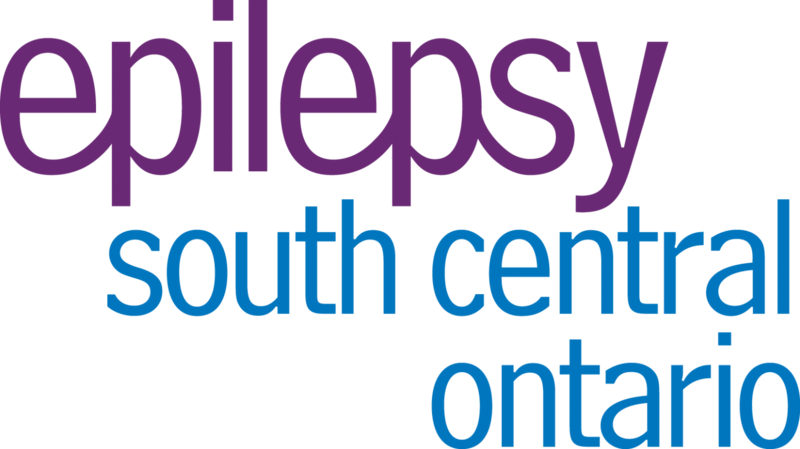 Ontario’s Community Epilepsy Agencies are already providing these programs with limited resources and need provincial funding to maintain and expand programs for people living with epilepsy. Reach out to party leaders and your local candidates. Tell them you support Epilepsy Community Education and Support Programs and you want to see the next government make funding them a priority. You can send them an email, contact them on social media, go to all candidates meetings and debates, or talk to them if they knock on your door. Follow the links to contact the party leaders. Follow the links to find the contact info for your local candidates. 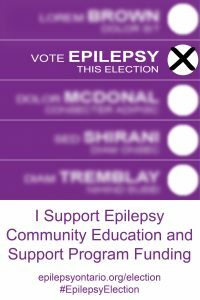 Download and share these on social media and tag your local candidates to show your support for Epilepsy Community Programs. You can use the sample letter below to contact your local candidates or the party leaders. Be sure to add in a few lines about your personal experience with epilepsy and how education and support programs have helped you. 1-in-100 people in our community live with epilepsy. If can affect every part of a person’s life, including their family, education, work, and mental health. 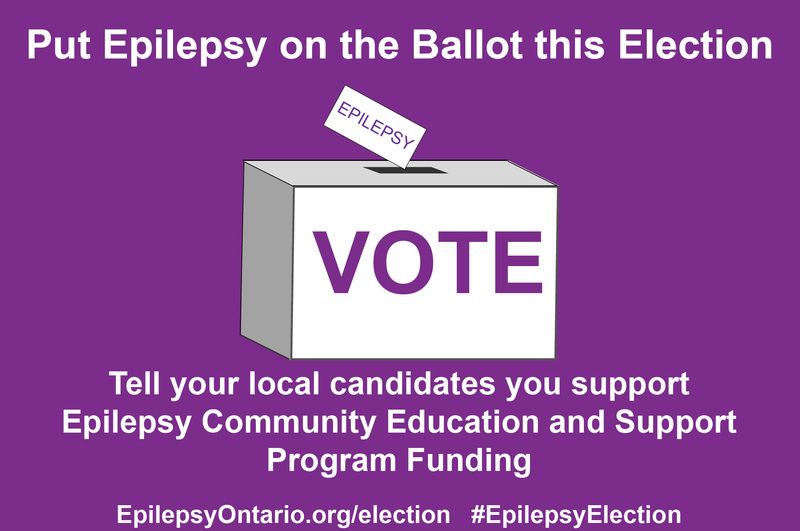 Ontario’s Community Epilepsy Agencies provide education and support programs that help people to better understand and control their seizures, reduce unnecessary hospital usage, and live well in the community. Despite the important role they play in epilepsy care, these programs receive no provincial government funding. This needs to change. 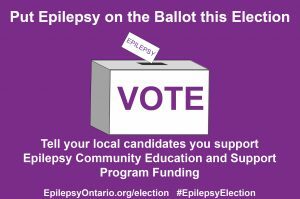 I urge you and your party to commit to properly funding epilepsy education and support programs through Ontario’s Community Epilepsy Agencies. Click here to see Epilepsy Ontario’s 2018 pre-budget submission for more details about how community education and support programs can make a difference in the lives of people living with epilepsy.